Signature HealthCARE continues to revolutionize the long-term care industry by fully embracing quality care measures. Image courtesy of Providigm’s Quality Assurance Performance Improvement (QAPI) program. The Signature HealthCARE revolution translates into meaningful clinical results and positive quality of life improvements for our residents. Over one hundred Signature HealthCARE locations are honored to earn accreditation through Providigm’s Quality Assurance Performance Improvement (QAPI). 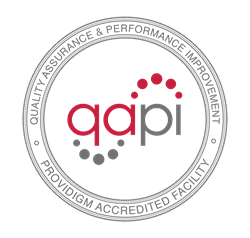 72 Signature HealthCARE locations earned advanced QAPI accreditation, and 30 Signature HealthCARE locations received basic QAPI accreditation. “We know that the Signature revolution translates into meaningful clinical results and positive quality of life improvements for our residents. To have the Providigm QAPI Accreditation Program recognize over a hundred of our locations is exciting. It is only with each of our committed stakeholders, from nurses to CNAs, that Signature’s culture change initiatives truly transform our homes into excellence,” Joe Steier, President and CEO of Signature HealthCARE, said. The Quality Assurance and Performance Improvement program embraces a comprehensive, data drive approach to care. A recent study in the Providigm Research Brief surveyed 463 QAPI accredited locations and concluded that after accreditation, the average number of deficiencies significantly decreased, as well as the percent of facilities who received penalties.